On the mobile you can easily view appointment information in past and future appointments using the Appointments calendar. 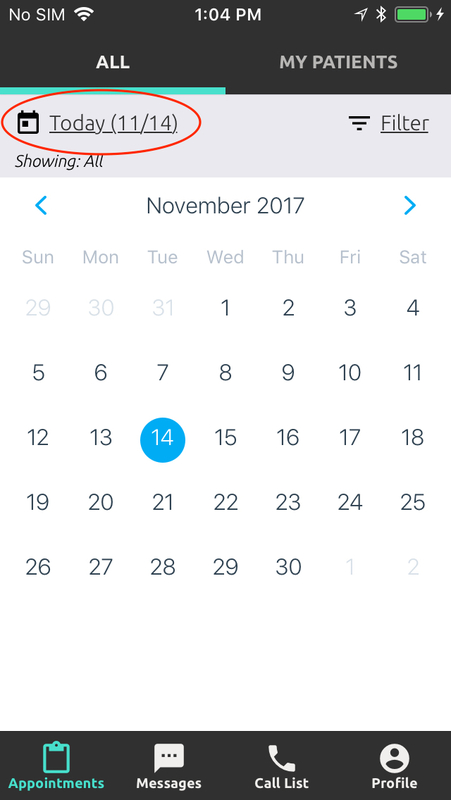 In the Appointments tab, tap the date on the top left corner of the appointment list to bring up the monthly calendar. Use the arrow icons to navigate between months and tap on the date to see appointments scheduled for that time. You can see past appointments starting from the day your practice had installed the Simplifeye Agent. You'll also be able to see appointments up to 14 days into the future.